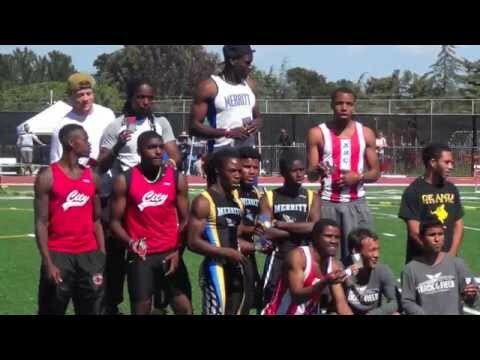 Our 4x100m relay team won the Northern California championship in a tight race that came down to the anchor legs while Kemarley Brown blazed to a 10.10 in the 100m to the oohs and ahhs of those in attendance. 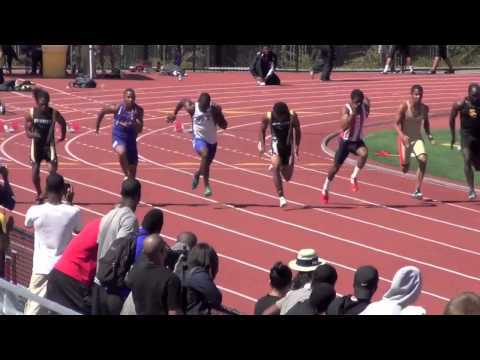 Tony Parnell also advanced in the 100m as the 4th place finisher at 10.55. 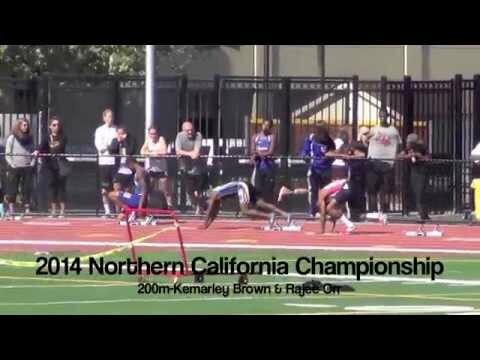 Kemarley also won the 200m in 20.70 while Rajee Orr snuck in for 4th and a trip to the state championship in that event. 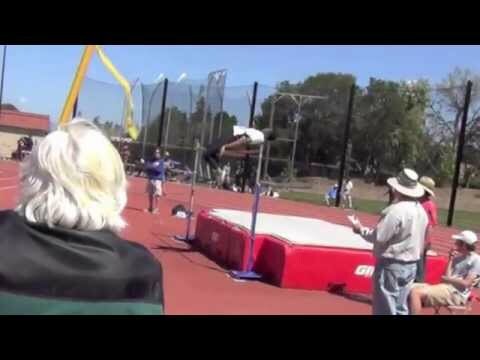 Freshman Steven Gissentanner narrowly missed in the high jump finishing in 5th place and 11th in the triple jump.